In every sense, Shoosmith Construction is a community. We are more than trucks, heavy equipment, and tools of the trade. We are more than experts and collaborators. We are builders. You can see us in great structures, roads, and cityscapes across Virginia and North Carolina. Since the 1940s, Shoosmith has worked alongside private, commercial and industrial organizations to transform plans into places where people live and work. 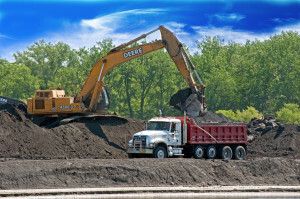 We specialize in site construction, industrial plant services and hauling operations, but what sets us apart is our ability to create shared ground with each customer. We take the time to listen and get to know you. Getting a project right is more than matching competitively priced, quality construction services to your building requirements. It’s putting a crew of skilled professionals around you and seeing to every detail from start to finish. We know that each job and location has its own set of complexities. By starting each project by identifying those needs, we can assemble the right combination of skills, services, and resources to meet them. It’s how we make sure property owners, managers and developers can successfully complete their projects on time and on budget. We’ve built our legacy on a track record of dependability, safety, expertise, and stability. It’s a source of pride for our people and the reason why our customers recommend us with confidence.